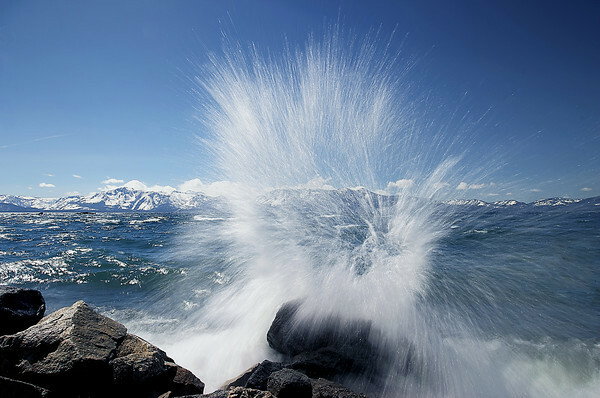 This image was made on March 26, 2008 in Lake Tahoe at Tunnel Rock. The wind was creating some large waves that were pounding the shore. I set up my tripod right at the front of some rocks and clicked the shutter at the right time to create this image. The slow shutter speed froze this incoming "Splash", and the water continued to approach and totally drench me with cold water.